I #%&@ing love books. They’re high quality, cheap, can help you relax and break up a working day, improve business progression and also can prevent you from making common mistakes. For founders they should be a vital source of information. Why have I made this resource you ask? Well, I was tired of reading books and thinking ‘This information would of been a lot more useful a few months ago’ or ‘This book is really interesting but not that useful’. This resource aims to help founders read the most useful books at the right time for their startup. The list is far from exhaustive and is currently limited to the books I’ve had the fortune of reading. The reviews have a slight bias towards tech startups — however most the books reviewed apply to all business types. If you have any comments on the reviews or categorisation then please get in touch! If you have any good books or online resources to share then post them in the comments. The reviews have been divided into three fundamental stages of a startup — idea conception, product development and launch and growth. The reviews have been ordered from top to bottom where the most useful books are at the top of each section — If you have limited time then just try reading a few books from the top of each section. Business, management and leadership — Personal development has been included in this category. All books mentioned in this resource are great reads for any founder. However, founder time is precious and to account for this each book has been rated against how useful the information is to a founder. Usefulness is determined as information that can be practically applied to a startup that improves company progression or aids in minimising mistakes. Must read — These books are an essential to any founders arsenal. They offer highly transferable information that will directly impact on how you think about and run your startup. Should read — These books provide transferable information however it can usually only be applied more indirectly. Example topic areas are personal development or books with more general advice. Any founder would benefit from finding time to read these books. Could read — These books provide interesting information to any founder, although the information may not be easy to directly apply to your startup or has information less useful than other books. These books are perfect for when you have some spare time or just love reading good content. Each book has been given a brief summary encapsulating what it’s about, how it will benefit the founder and, if relevant, who should be reading it. The lean startup provides an approach to product development that minimises wasted resources and places learning at the forefront of everything you do. Five principles are established, and consist of entrepreneurs are everywhere, entrepreneurship is management, validated learning, build-measure-learn and innovation accounting. Arguably one of the most prominent of these principles is validated learning — a company’s success is determined by its ability to most efficiently learn how to build a sustainable business by running frequent experiments. The lean startup will help founders spend the least amount of resources on finding answers that your startup needs before you can move forward. 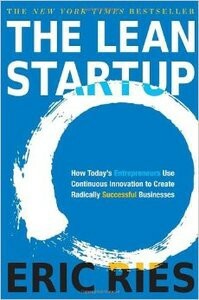 The lean startup approach can be applied to any aspect of the business (not just product development!). Any founder will benefit from reading and applying the principles from this book. What is one of the biggest reasons a startup fails? It doesn’t solve a problem. Following a hunch, developing before an idea has been shown to an end user or even not having clear long term goals are all common startup mistakes. Sprint aims to solve that through a tried and tested practical approach (over 100 sprints) to solving problems. A single sprint will take your startup from establishing long term goals and focussing your sprint on a single problem through to creating and deciding on a solution, making a prototype and finally testing it with end users. The process is highly practical and each detail of the process has been effectively articulated — research even backs up why certain approaches are most effective. 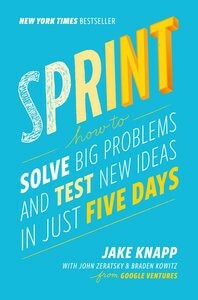 Sprint is a great first book for any founder, although it is intended for any sized company for their problem solving needs. Find out whether your new idea solves a problem or whether you need to go back to the drawing board. When founding your startup a common mistake is to focus on the what rather than the who. 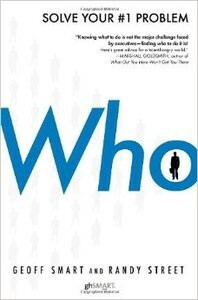 The book Who addresses the importance of who you work with, how costly a single hiring mistake can be and a methodical approach to identifying and recruiting talented people (or as they describe ‘A player’s’). Four main steps to recruitment are addressed — producing a scorecard, sourcing, selecting and finally selling. For any founder still looking for another founder to join their startup or a business founder that’s new to recruitment this book is a must read. A key takeaway piece of advice from this book is if you’re in anyway hesitant about a hire decision, say no. 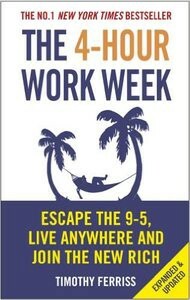 Both your personal and business life can be drastically improved by The 4-hour work week. Over the course of the book Tim shares his initial struggles with the 9 to 5 grind before starting his own business. Over time he incrementally make himself and the business more efficient to the point he can achieve, you guessed it, a four hour work week. Using some of the pragmatic lessons described anyone can benefit from this to define and realise their own goals — whether that’s working abroad or just minimising the amount of days you work. Any founder will benefit from the book if they want to improve their own time management and focus. Ultimately, the more hectic you find your life the more you will benefit from this read. 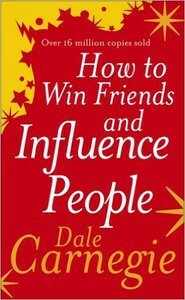 How to win friends and influence people presents 30 different principles to help you improve how you handle and treat people, win people to your way of thinking and also change people without giving offence or arousing resentment. Each principles is accompanied with great anecdotes making the information highly engaging and easily transferable to how you deal with your social situations. Naturally, this book is great for any founders who deal with people on a regular basis. 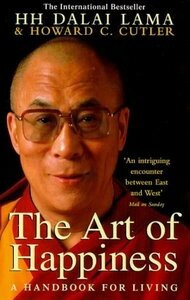 This may single handedly be the most important book you’ll ever read if you’ve never tried meditating. Startups provide one of the most intense emotional rollercoasters life can offer. Experienced entrepreneurs know it’s essential to keep a level head day to day. Although allowing your startup’s mistakes and failures to not influence your happiness is extremely difficult. One notable anecdote from this book explores how you can often find homeless people that are far more satisfied with their lives than a comparative wealthy individual. Why? Well, one is living in the present, gaining their happiness internally. The other gains their happiness externally from their surroundings — resulting in happiness that is determined by what they can’t control. This information is useful for any founder and can help you in every form of life whether that’s improving your concentration, listening skills or how effectively you can control your emotions. Search for your favourite influencers on whether they meditate — you’ll be surprised how many do. Creating new innovations, rather than copying things that work, is what takes us from zero to one in this concise read about building for the future. 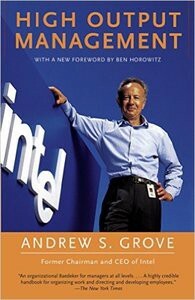 One great distinction made early in this book is the massive difference between perfect competition and a monopoly. Perfect competition happens when companies compete in the same market, resulting in a focus on margins and a struggle for survival. In contrast, a monopoly company doesn’t have this concern and can focus on innovation — benefiting everyone. 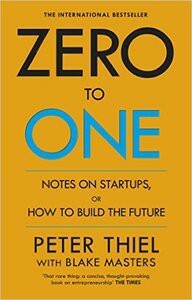 Zero to one is a great resource for founders that want to elicit long term thinking and strategy. Technology has changed society drastically over the last century providing new and more diverse opportunities for new businesses. Daniel encapsulates this change detailing why you should not miss out on the new ‘global small business’ opportunities available in the entrepreneur revolution. This book is a great motivator to get any aspiring founder into taking action yet also offers some great advice on customer development and how to approach your own business. 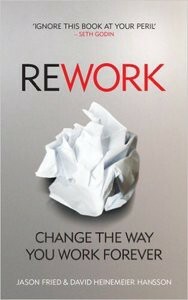 If you were to write down the most useful lessons you’ve learnt whilst doing your start up — Rework would be the result. With a mixture of categories ranging from progress, competitors, promotion, hiring and even culture this book will give you some brief insight from the people that brought you Basecamp. 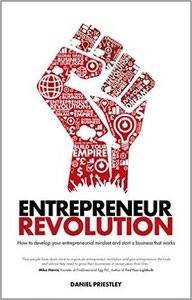 This book is a great casual read for any business focussed founder. 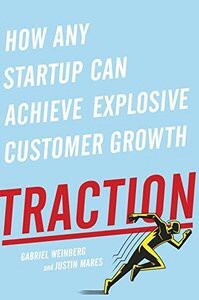 Traction, most simply, is the lean startup equivalent for marketing and growth. Before explaining each of the 19 different traction channels the book starts by establishing a method for gaining traction — Bullseye. The bullseye method separates the channels into three rings including the outer ring (what’s possible), the middle ring (what’s probable) and the inner ring (what’s working). Startups should be constantly assessing which traction channels belong to which ring for their growth efforts. Ultimately the most effective traction channel should be in a startups inner ring and be their sole focus. Any founder focussed on growth and marketing should keep this book close to hand — identify, test and get a bullseye on your startups most effective traction channel. Word of mouth is arguably the holy grail of effective marketing, but it’s often one of the hardest things to generate for your startup. Why do some pieces of content and products go viral where others get unmentioned? 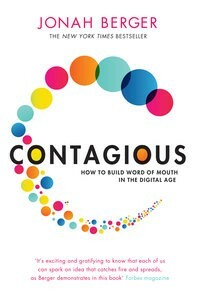 Contagious helps answer this question and offers 6 principles (Social currency, triggers, emotion, public, practical value and stories) that influence why something is talked about with real life examples. Any founder working on marketing and growth can apply this short book to produce better results for generating word of mouth. Whether making a coffee, browsing Facebook or shopping for some new clothes — Habits play a major role in how we carry out our daily tasks without us even thinking. 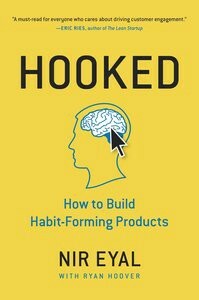 Turning your product into a habit forming one is what Hooked aims to deliver. The process established is the ‘Hook Model’ which takes your users through a loop consisting of a trigger, action, investment and finally a variable reward to start making a habit. The faster and more effective your product can repeatedly go through this process the more habit forming your product becomes. This information is vital for any founders that needs their product to be used on a frequent basis — such as a social network, fitness application or news site. If you’re interested in habits then another great read on the subject is The power of habit by Charles Duhigg. 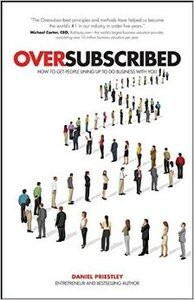 Having too many customers is a dream for any startup, and this dream is one that Oversubscribed believes is achievable. Principles for becoming oversubscribed is detailed in the first half of the book with a notable focus on the market, product differentiation and customer development. Following this a great bit of advice on campaign driven marketing. Whether you’re doing an event, releasing a new feature or raising awareness to anything in your startup, campaign driven marketing offers a great way to make the most out of your marketing efforts. Startups can continually improve their campaigns by using robust planning before and then analysis afterwards. Any founder focussed on customer development and understanding their market will benefit from this read. Venture deals offers the perfect mix of general advice with facts about venture capital that prepares any inexperienced founder for the venture capital process. Two chapters cover the most important factors for founders in any venture capital deal — economics and control. In these chapters the vital terms are covered ranging from liquidation preferences, vesting, anti dilution, protective provisions and drag-along agreement terms (amongst others). For every legal term an example is given so you can familiarise yourself with what to expect. 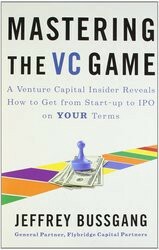 The book also covers all of the players involved in venture capital, the process of raising money, terms of the term sheet that aren’t as important for founders, how venture capital funds work and even some negotiation tactics to use when raising capital. Overall a combination of facts with great advice from venture capitalists and entrepreneurs makes this book an essential read for any founder. Founders will be comfortable walking into a venture negotiation after this read. Changing Intel from a memory to processor business is no easy task. When also considering Andrew was involved with the organisation turning into an international success it becomes obvious why this book has attained a legendary status. Each chapter is concise and informative managing to deliver complex principles in effortless explanations. A few example topic areas include how to increase managerial leverage to maximise the organisation’s output, the importance of different types of meetings including how they should be conducted, how to make decisions and avoid group decision problems, how large organisations are nearly always made up of both mission oriented and functional divisions and also when to use different modes of control for a given situation. High output management is simply a must read for any founder looking for management advice that they can instantly apply. This book is perfect for when a startup is beginning to pursue growth. Bargaining for advantage turns negotiation into an easy to understand process that any founder can effectively apply to a startup’s negotiations. The book contains two main parts. The first half establishes six foundations (your bargaining style, your goals and expectations, authoritative standards and norms, relationships, the other party’s interests and leverage) that once combined make up an effective negotiation. The second half applies these foundation principles, presenting the process of a negotiation taking you from preparing a strategy through to closing and gaining commitment. 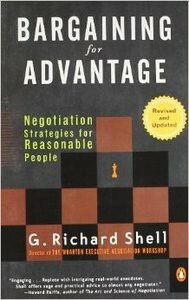 The concise and effective process can be applied to any negotiation. Founders would find this book particularly useful when negotiating for investment or with other businesses (such as suppliers or service providers). 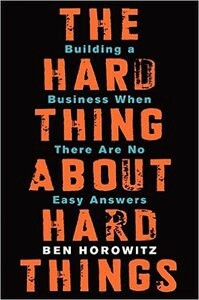 Ben Horowitz is no stranger to the problems endured within a startup and after surviving the dot com bubble he eventually took Opsware to a $1.6 billion exit sale to Hewlett-Packard. The hard thing about hard things summarises the hard lessons learnt over this period, detailing topics that are rarely talked about. A few examples include firing or demoting people, how and when to bring in executives, minimising politics and evaluating yourself as a CEO. When a startup is starting to pursue growth this book is a great read for any founder wanting to avoid the inevitable tricky situations ahead. The venture capital world is thriving in response to the increasing number of startups. Mastering the VC game aims to make sure you understand both ends of the bargaining table. Important topics addressed are how a venture capital firm works under management, finding out how to pitch your startup and also an overview of the intricacies of a single deal. 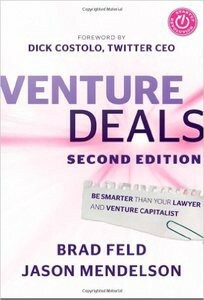 Venture Deals (which was reviewed above) is recommended if you are only looking for a single book to cover your venture capital needs. Although as a casual read this book still has useful information. 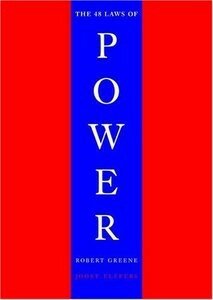 The 48 laws of power is a fascinating read for anyone interested in the history of people who attained power and how they used it. The laws in this book are still fully relevant today. Ranging from Napoleon, Galileo to even Cleopatra, this book covers a vast history of leaders, kings and influencers using descriptive anecdotes to divulge into each law of power and how it has been applied. The information is interesting but arguably not vital for founders. Founders could benefit from this book by being able to easily identify when power plays are being made against them — it happens more often than you think.